It was an amazing event with incredible performances. 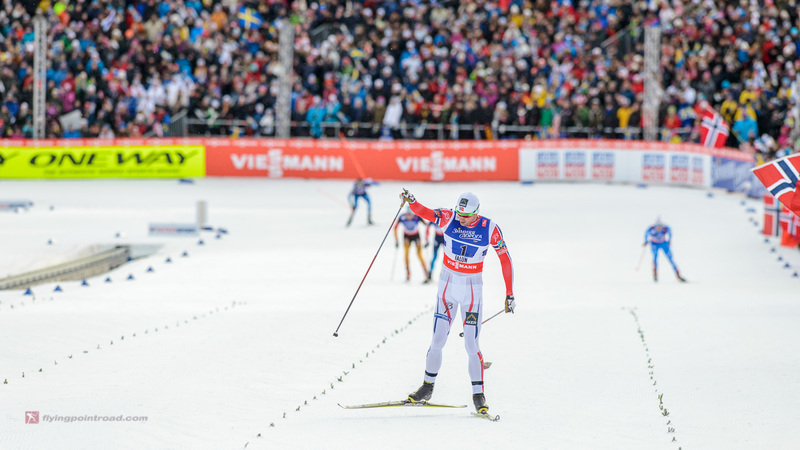 Petter Northug. Charlotte Kalla. Alex Harvey. Rosie Brennan. All special in their own way. 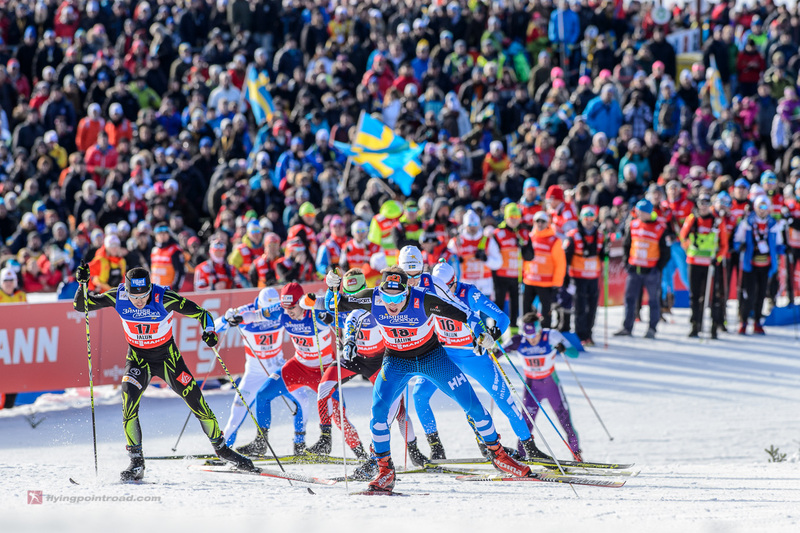 And if your heart doesn’t skip a beat when you’re standing with 25,000 rabid ski fans on the top of the Mordarbacken (A famous hill on the course) when the pack comes by — you probably don’t have one. One of the many places that the photographers weren’t allowed to stand. 1. 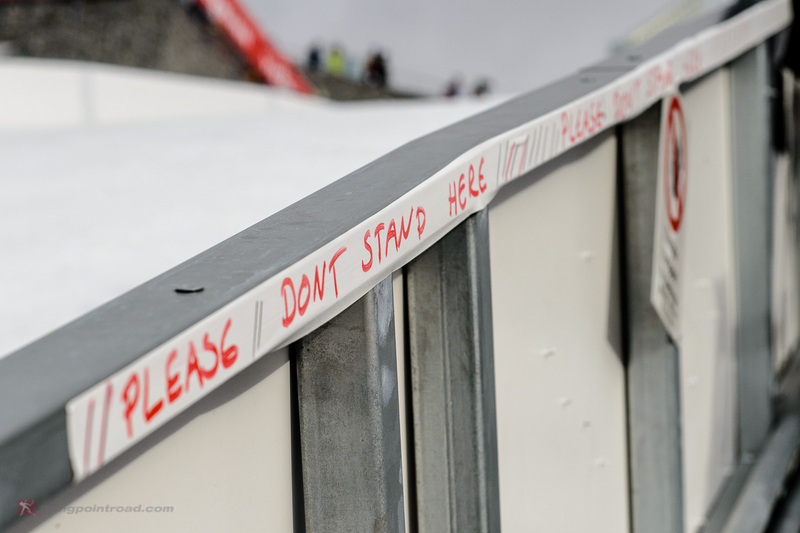 Access – I’ve shot a bunch of World Cups — both FIS & IBU — this was easily the most restrictive. 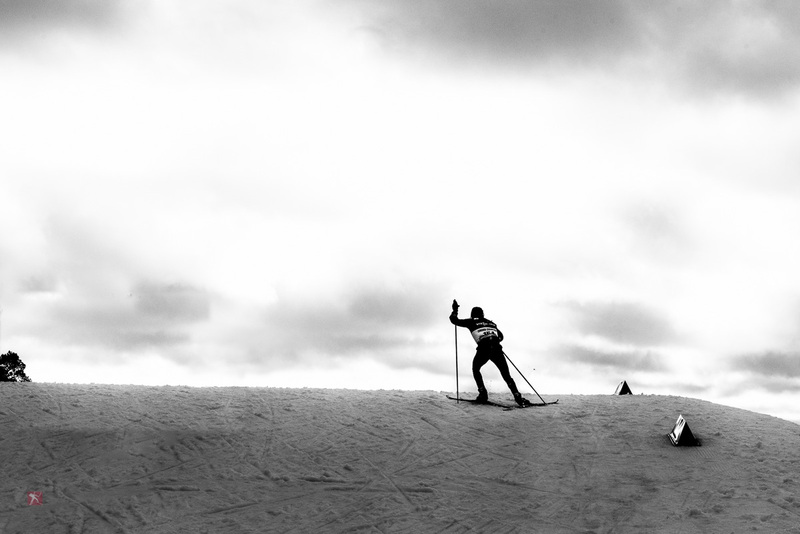 There were five, count ’em, five approved photo positions along roughly six miles of ski trail. And seemingly every other day, we were told that the organizers had decided to eliminate a position or — in one case — event VIPs complained about photographers tromping through their special area, so our access to a position was cancelled. The biggest culprit? Television. It’s safe to say that every position of visual interest had a television camera parked on it. And unlike the NFL or MLB where an occasional pan of the photographers is part of the “presentation,” these folks truly don’t want to see you/have you in the shot/want you at the event. UT UR BILDEN!!! And once we left, we were moving. Imagine 20+ middle aged men and women, careening downhill through the forest, dodging fans and carrying tens of thousands of dollars of camera equipment. Now imagine that same forest is full of snow & ice. And imagine that some of those fans are drunk. It was like a real-life version of “Frogger.” I’m still surprised that no one died in the process. 2. Light or lack of it – The race schedule was determined by anticipated television viewing. As a result, most race finals started at 2:30 or later in the afternoon. And not only is Sweden getting dark at that time, but the stadium was getting really dark. 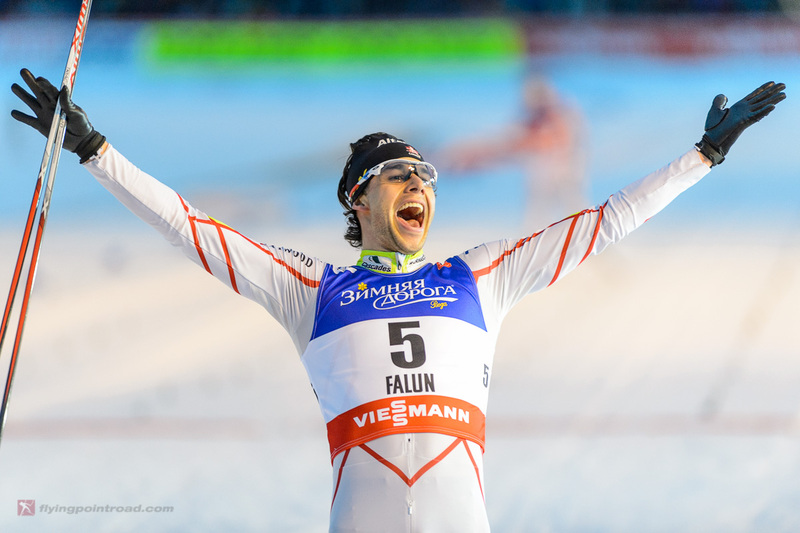 This shot of Alex Harvey was at ISO 3200 and f2.8. And quite honestly, I should have cranked it up even higher. 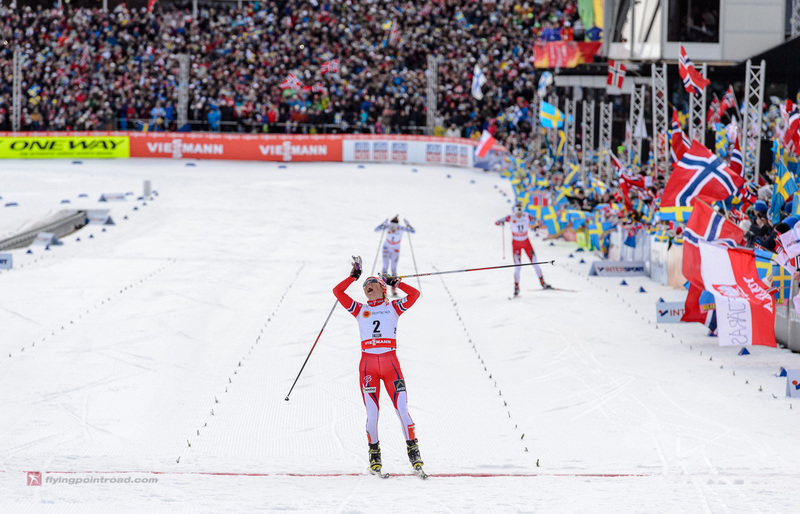 Alex Harvey celebrating his silver medal in the 30k skiathlon. 3. Overly rabid fans – I’m convinced that Scandinavia is home to the nicest people on earth. No question. But the combination of big races, warm weather and a lot of alcohol brought out the crazies — just like NASCAR or the NFL. I was standing at the top of a hill with about ten photographers during the Team Sprint qualifying rounds. An older gentleman standing behind us — clearly intoxicated — kept yelling at the group that he couldn’t see the large television in the stadium. The local photographers tried talking to him, but the more they talked, the angrier he got. Rosie Brennan leaving the main stadium. 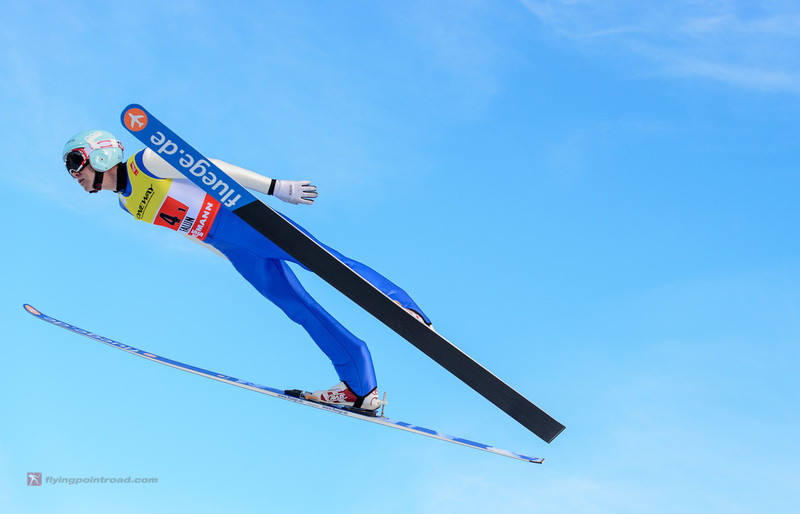 A few minutes later, I slid into position to grab a few shots of a USA skier. I felt taps on my shoulder and ignored him. Just as I brought my camera up to my eye, I got hit in the back of the head. A good solid “smack” that knocked me forward into other photographers. Our fixer quickly came running over to start the process of getting security involved. Honestly, I was lucky. Given the crowd size and their overall condition, it could have quickly escalated from “unfortunate” to something much more. Probably. Maybe. I think so. Despite a few problems, it was an incredible event. 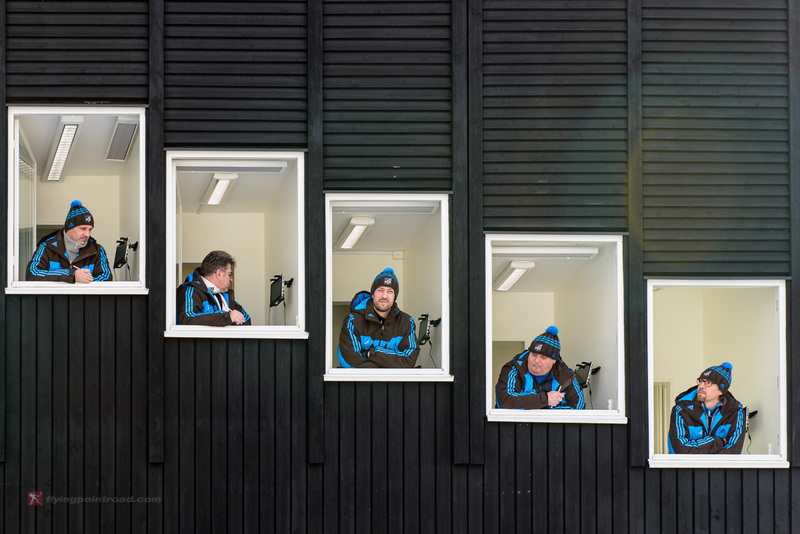 The photo supervisors — Nisse & Marcus — were fantastic. The people of Falun & Sweden are amazing. And I’ve got a collection of awesome images. The World Championships are definitely not a place for the timid. 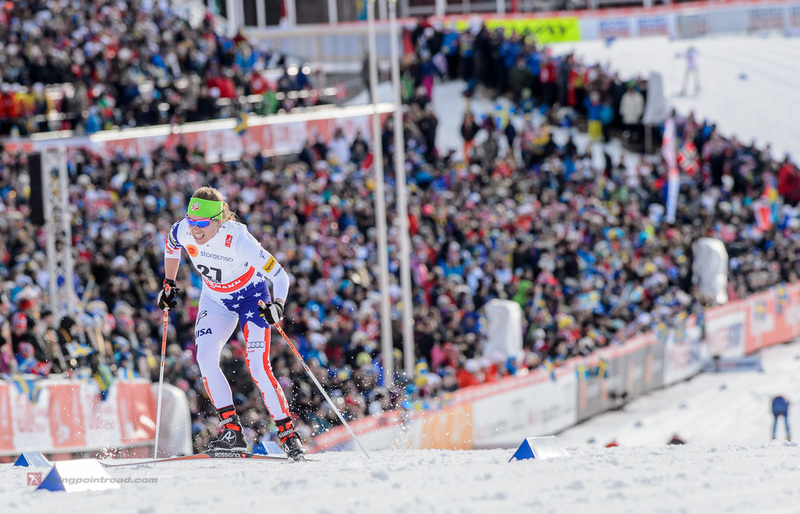 Short of the Olympics, almost any other race will give you more latitude in terms of course positioning, skier access and overall shooting conditions. 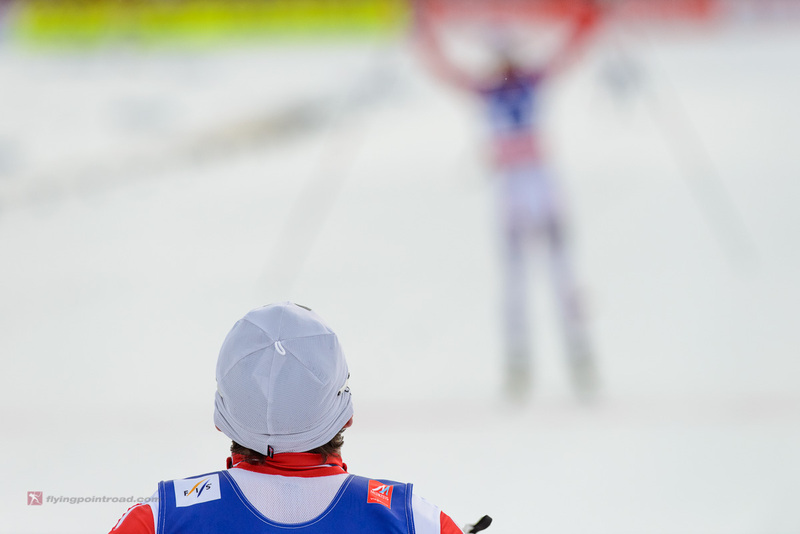 And why shouldn’t you wear a hockey helmet to a ski race? 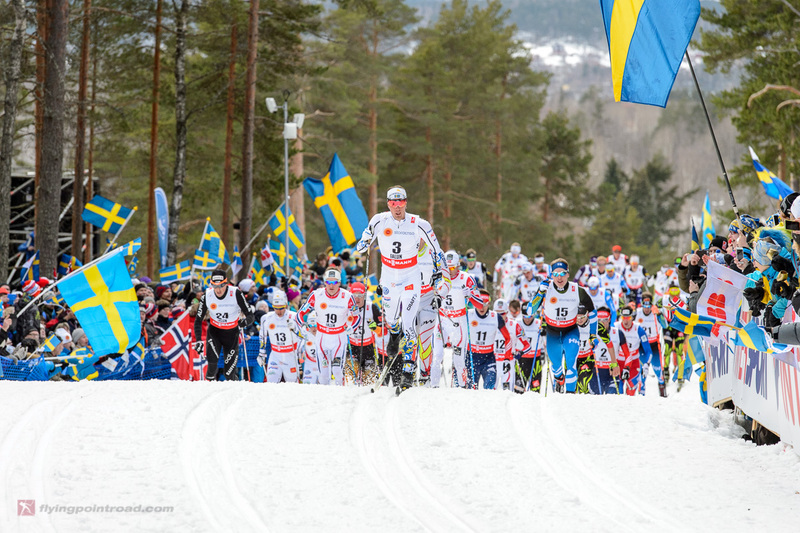 This really is a great behind the curtain look at Nordic Worlds as it always is… An event with scale that surpasses the Olympics and security which makes for all fighting to find the front! 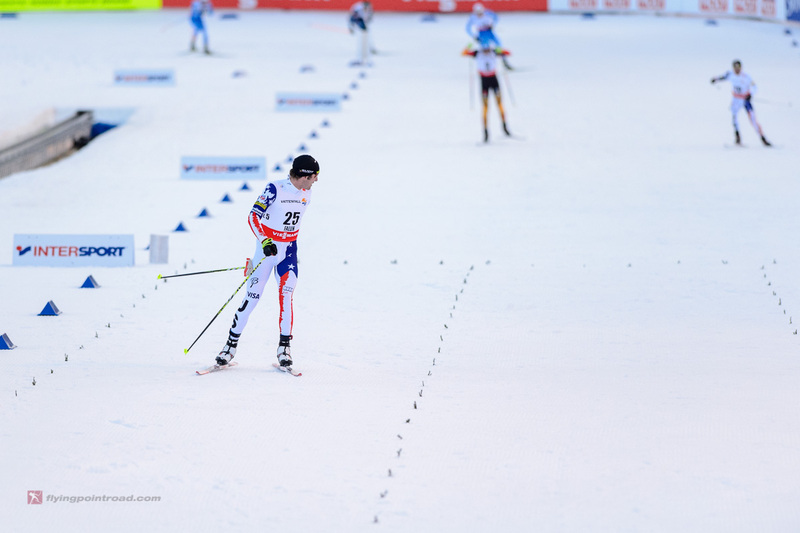 Many great images here and a huge thanks to you for attending and helping drive a new era and interest in usa nordic!